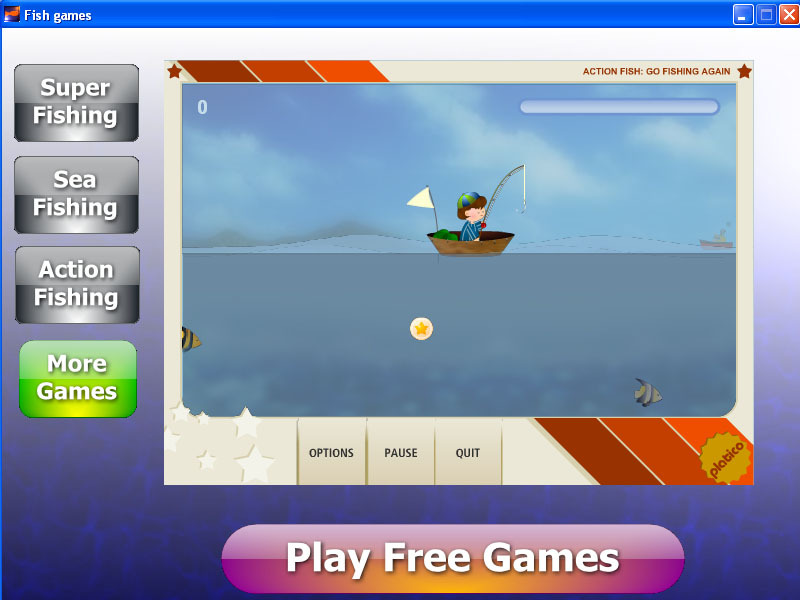 Action fish game - Catch as many fish as you can within the allocated time limits. In Super-fishing, you must catch as many fish as you can before time runs out. Lower your hook to catch the fish but watch out for the lightening storm! Gives fishermen the means to keep a record of all their catches for all species. A big collection of funny sports' games. Qweas is providing links to Fish Games 1.0 as a courtesy, and makes no representations regarding Fish Games or any other applications or any information related thereto. Any questions, complaints or claims regarding this application Fish Games 1.0 must be directed to the appropriate software vendor. You may click the publisher link of Fish Games on the top of this page to get more details about the vendor.